Jeff and Eric Fredette Win the 2018 Great Race on Coker Tire Products! 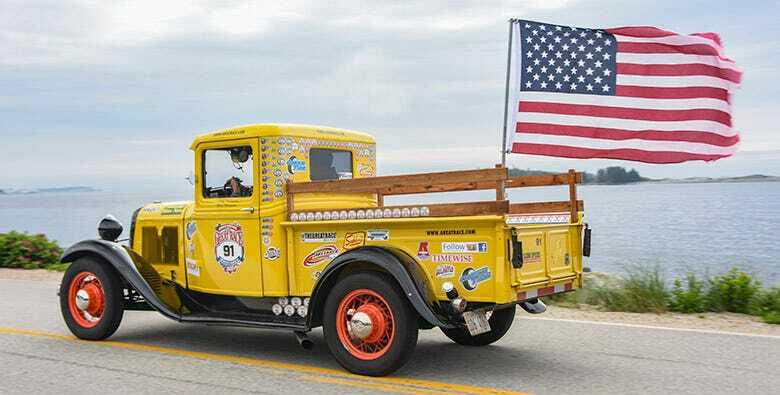 The Hemmings Motor News Great Race presented by Hagerty is geared toward vintage cars and trucks, so it makes sense that the majority of them are using Coker Tire products. We offer tires that have the period correct look, while also providing great performance for precision rallying. 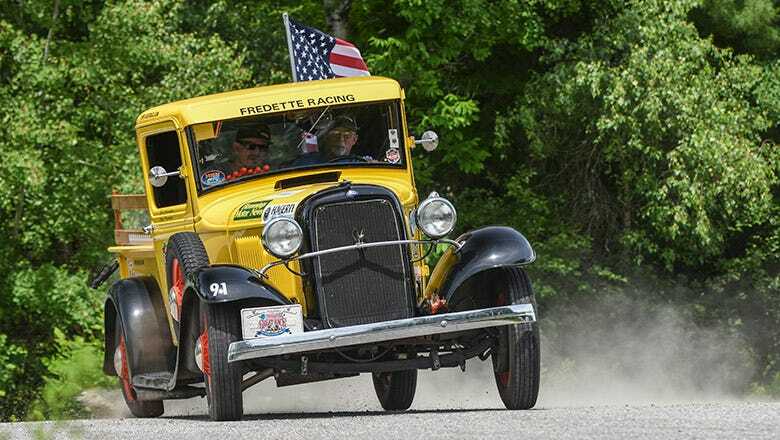 Jeff and Eric Fredette have been rallying for many years in their 1933 Ford pickup and they rely on Excelsior Stahl Sport Radial tires to get the job done. And if you've seen some of our pictures of this attention-getting pickup truck, then you know Jeff puts those tires to the test. This year, he led the field for several days of competition, but had a rough scoring day on 8th day of competition. It allowed John and Scott Hudson to jump into the lead, leaving the Fredettes with a tough deficit on the final day of competition. 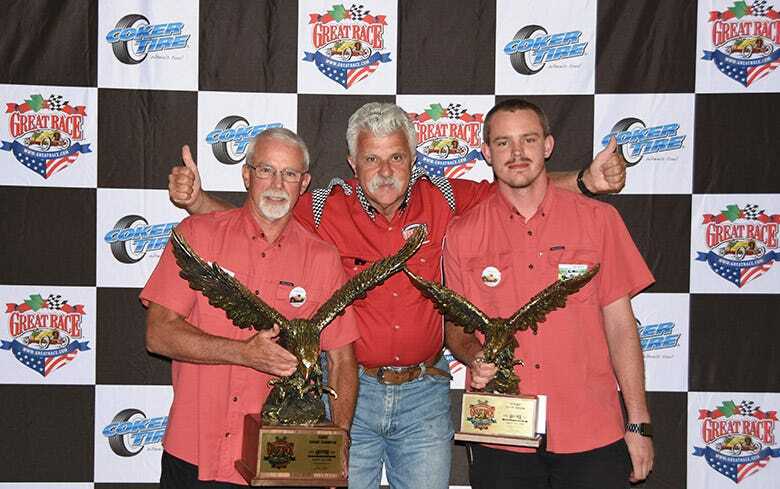 The father and son team hit their marks on Day 9 of the Great Race, and the reward was their first Great Race Grand Championship. 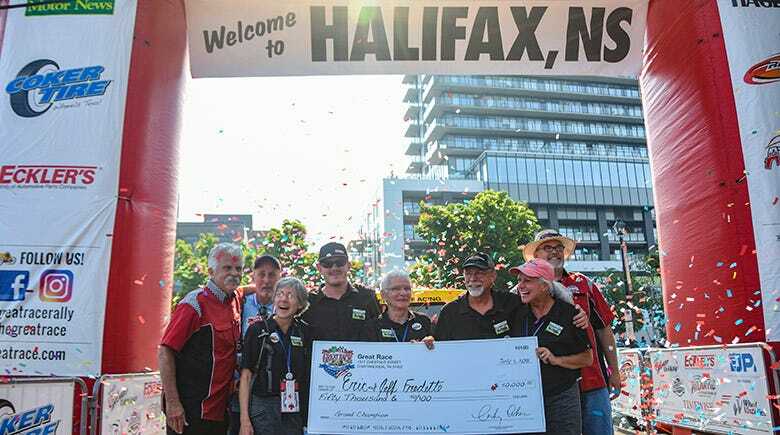 This expert level team has been in the hunt for several years, but they finally sealed the deal on Sunday, July 1st, 2018 with the overall win. 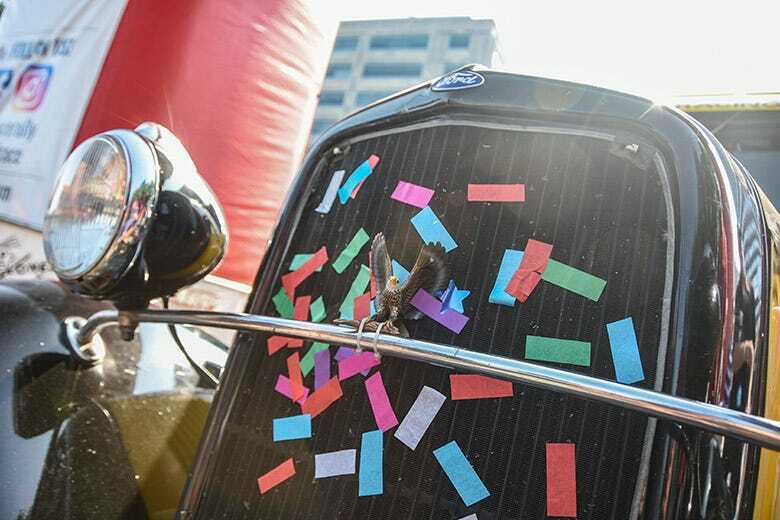 Along with bragging rights and "the bird" trophy, this victory rewarded them with $50,000, plus additional cash prizes for daily wins. Congratulations to the Illinois-based team for a job well done and a sincere thank you for using our products on your winning combination!